LEGO Ninjago is based on a hit TV series in which a brave ninja team battles the villains that seek to destroy their world. Calling all Ninja! Lord Garmadon is on a mission: collect all four Golden Weapons of Spinjitzu and, ultimately, rule the world. Can you stop him? This is a BRAND NEW set of LEGO® Ninjago® 70501 Warrior Bike from 2013. This set is still factory sealed and the box is in very good condition with minor shelf wear. 210 pieces and 2 minifigures©. 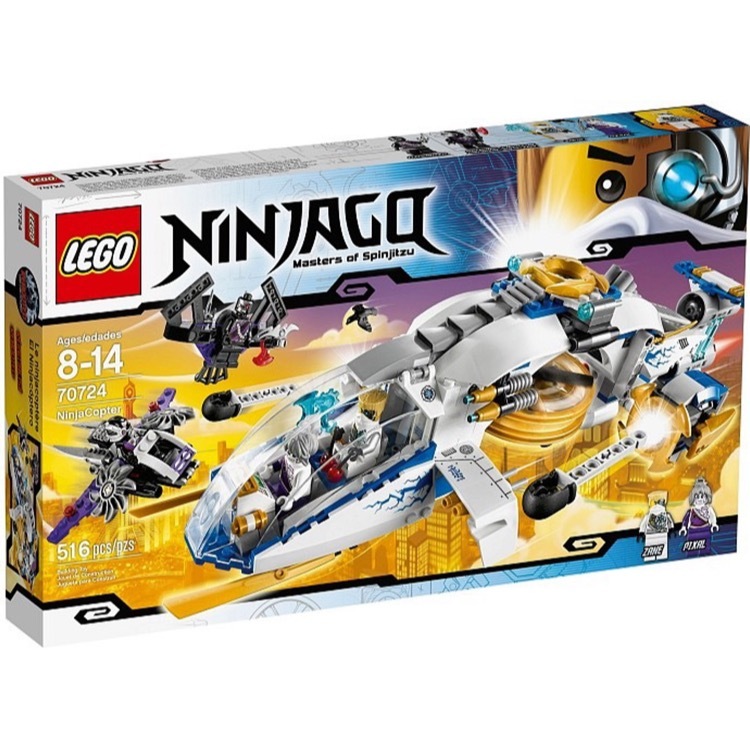 This is a BRAND NEW set of LEGO® Ninjago® 70724 NinjaCopter from 2014. This set is still factory sealed and the box is in very good condition with minor shelf wear. 516 pieces and 4 minifigures©. 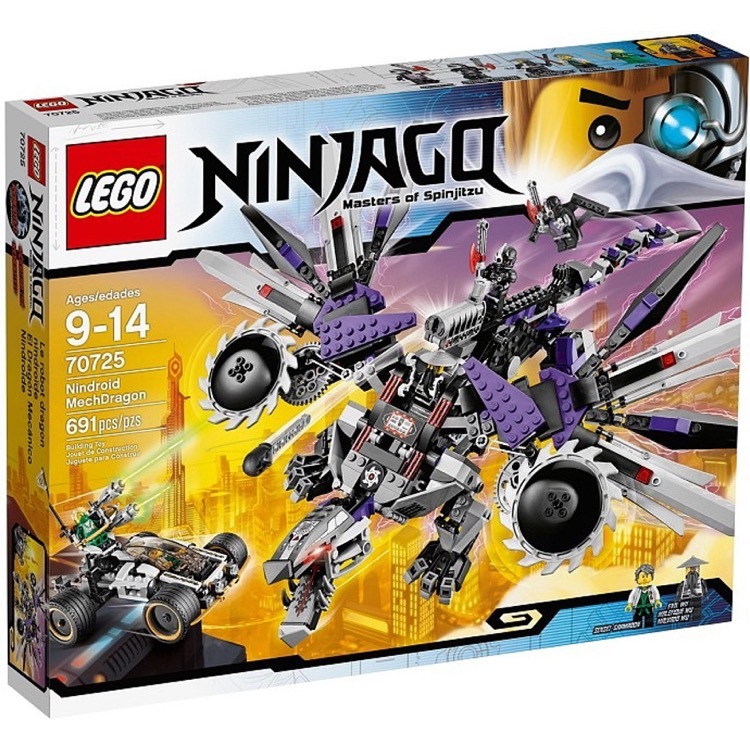 This is a BRAND NEW set of LEGO® Ninjago® 70725 Nindroid MechDragon from 2014. This set is still factory sealed and the box is in very good condition with minor shelf wear. 691 pieces and 5 minifigures©. 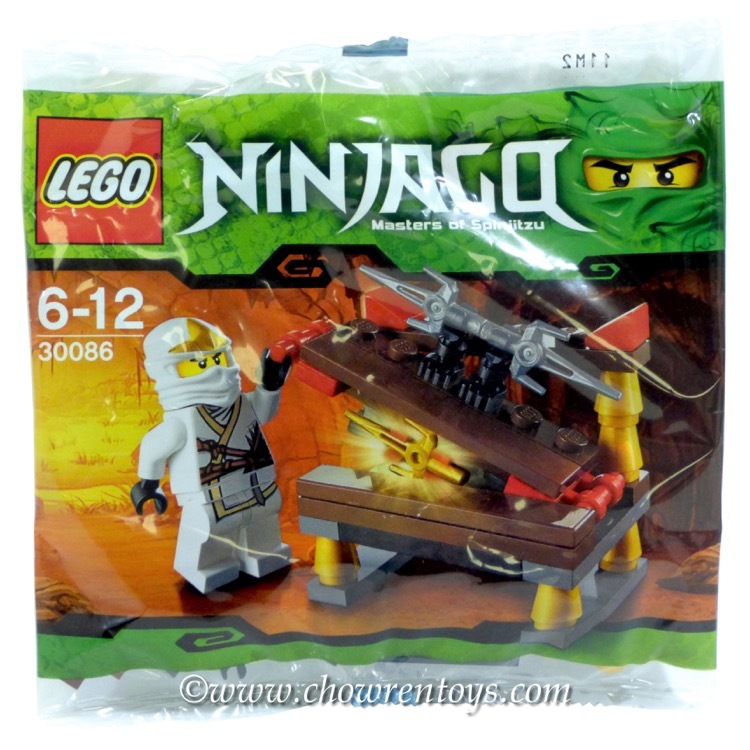 This is a BRAND NEW polybag set of LEGO® Ninjago® 30080 Ninja Glider from 2011. This polybag is still factory sealed and in very good condition. 26 pieces and 1 minifigure©. 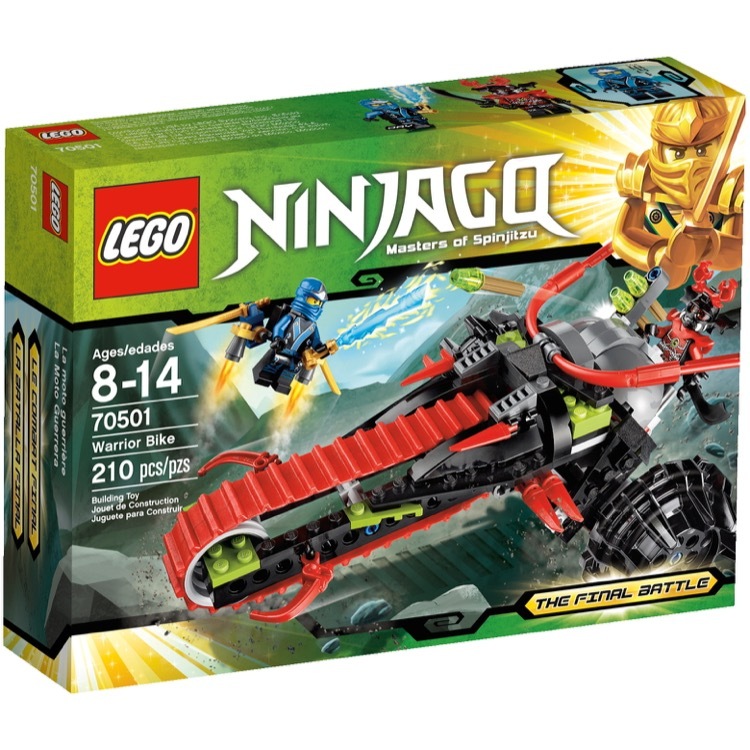 This is a BRAND NEW polybag set of LEGO® Ninjago® 30081 Skeleton Chopper from 2011. This polybag is still factory sealed and in very good condition. 41 pieces and 1 minifigure©. 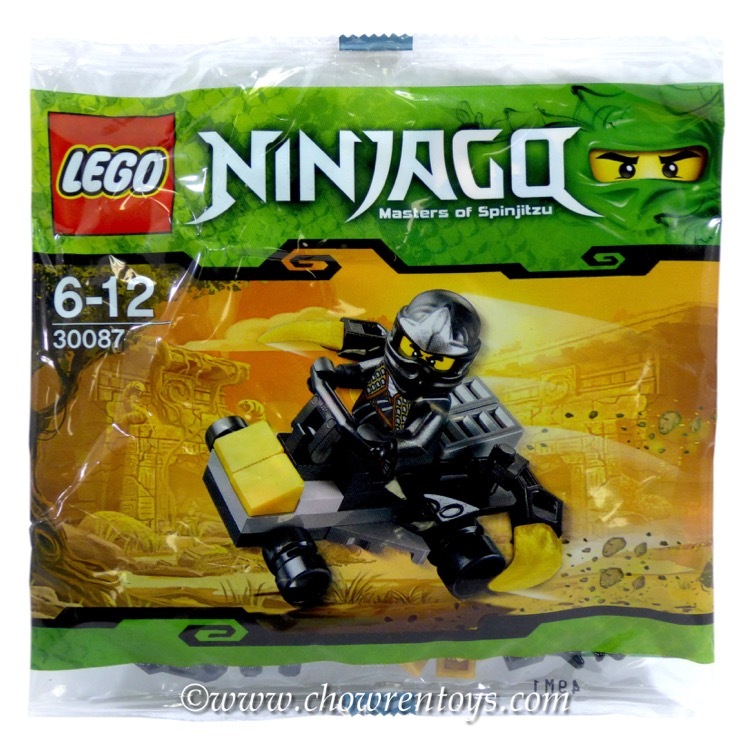 This is a BRAND NEW polybag set of LEGO® Ninjago® 30082 Ninja Training from 2011. This polybag is still factory sealed and in very good condition. 32 pieces and 1 minifigure©. 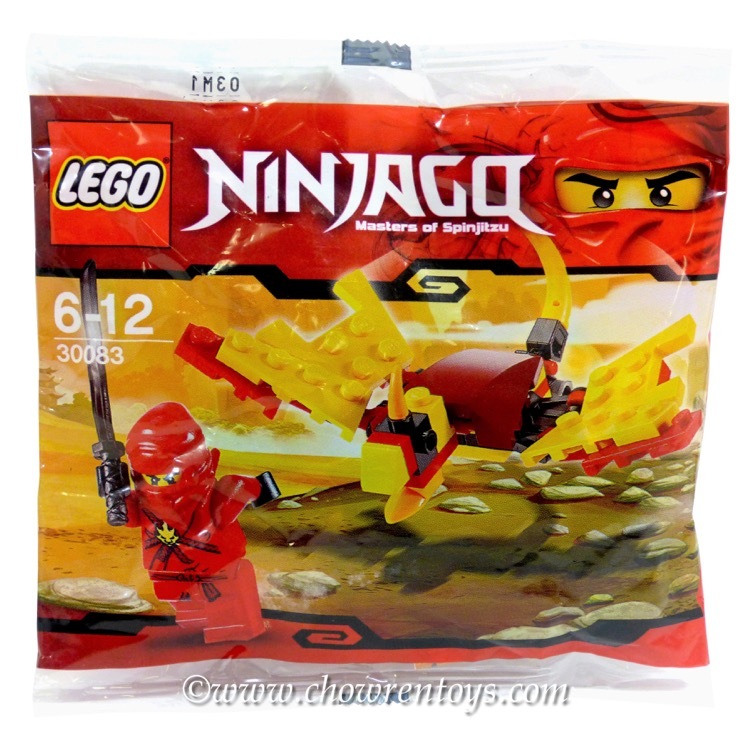 This is a BRAND NEW polybag set of LEGO® Ninjago® 30083 Dragon Fight from 2011. This polybag is still factory sealed and in very good condition. 31 pieces and 1 minifigure©. 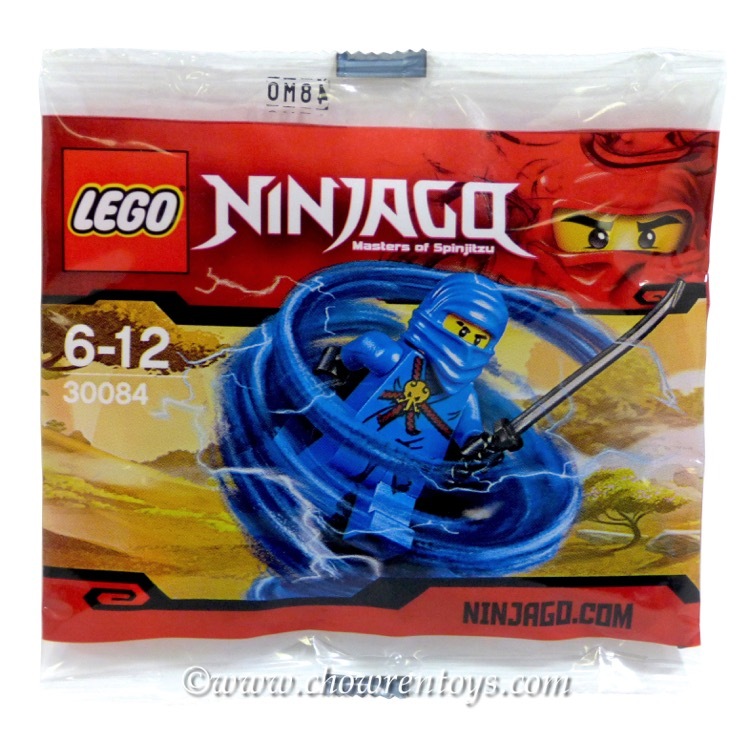 This is a BRAND NEW polybag set of LEGO® Ninjago® 30084 Jay from 2011. This polybag is still factory sealed and in very good condition. 5 pieces and 1 minifigure©. 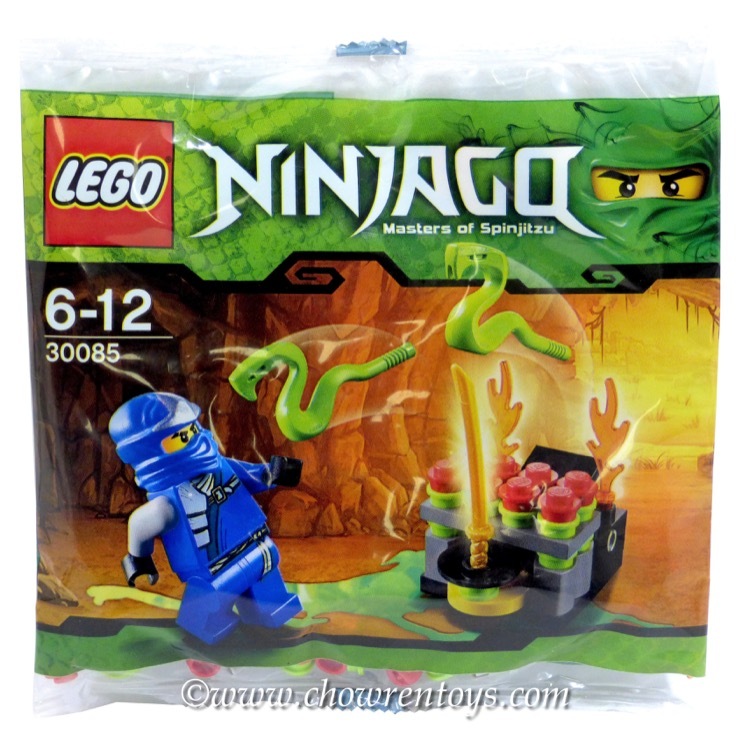 This is a BRAND NEW polybag set of LEGO® Ninjago® 30085 Jumping Snakes from 2012. This polybag is still factory sealed and in very good condition. 42 pieces and 1 minifigure©. 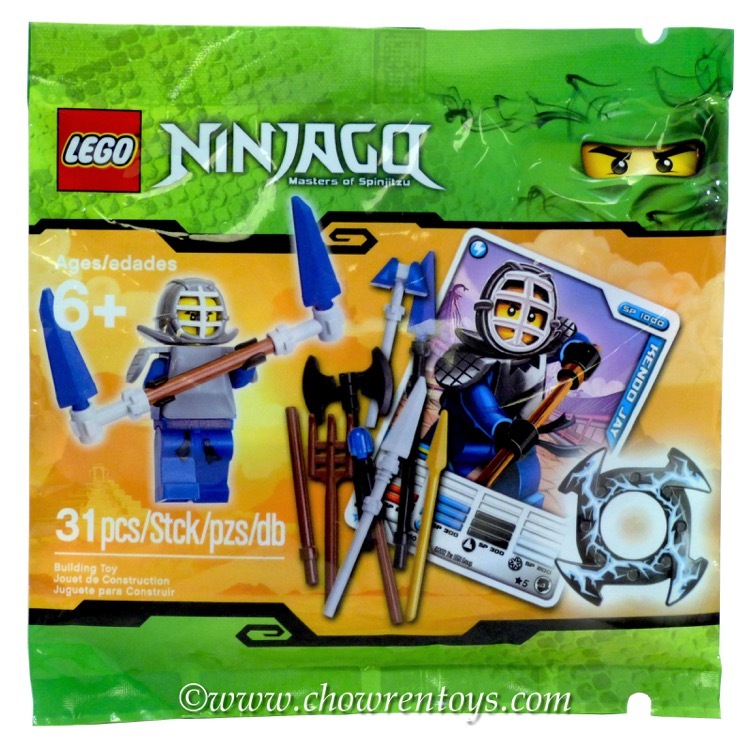 This is a BRAND NEW polybag set of LEGO® Ninjago® 30086 Hidden Sword from 2012. This polybag is still factory sealed and in very good condition. 39 pieces and 1 minifigure©. This is a BRAND NEW polybag set of LEGO® Ninjago® 30087 Cole ZX's Car from 2012. This polybag is still factory sealed and in very good condition. 27 pieces and 1 minifigure©. 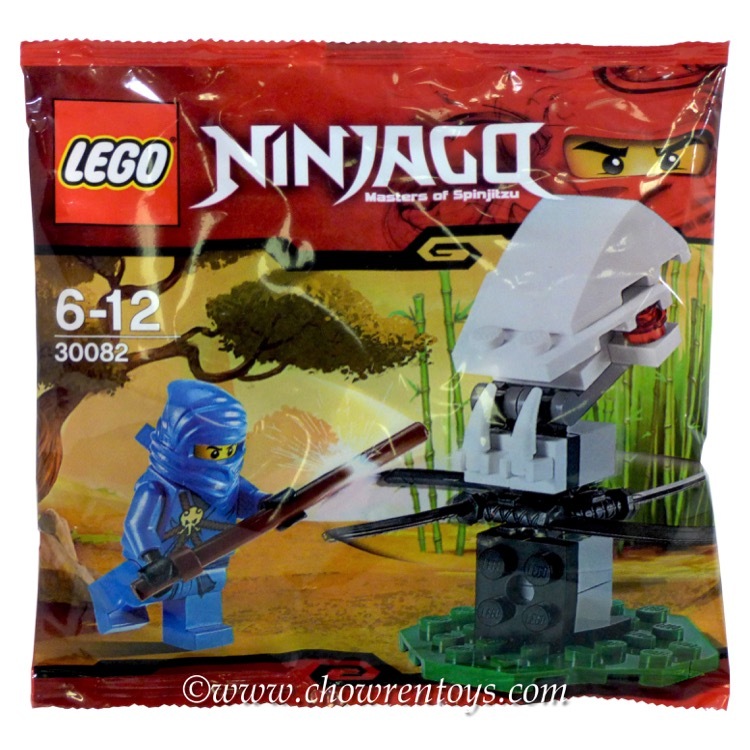 This is a BRAND NEW polybag set of LEGO® Ninjago® 5000030 Kendo Jay Booster Pack from 2012. This polybag is still factory sealed and in very good condition. 31 pieces and 1 minifigure©.